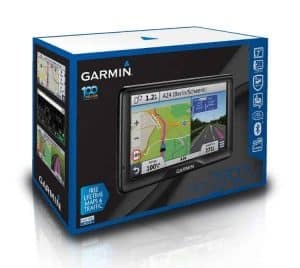 Garmin nuvi 2797 LMT sale on Amazon - Which Sat Nav? The first thing you notice about the Garmin nuvi 2797 is the sheer size of it. Compared to some of my other devices it just seems huge. My immediate concern was that the screen of the device would just be too big and too distracting whilst driving. I was therefore delighted to see the Garmin nuvi 2797 lmt sale over on Amazon. It meant I could test out this unit properly. My uncle has owned this GPS device for a couple of years and according to him “it’s a great little unit”, except let’s be honest it isn’t that little a device! This was going to be the first 7inch screen that I was going to put through its paces. So, without further ado let’s take a look at what we get with the Garmin nuvi 2797 lmt. The 7inch size of the screen means that you are never going to have to squint to read the information whilst driving. The display is clear and the colors are vibrant ensuring that deciphering the information whilst driving straightforward. It’s worth bearing in mind that the size of the device may not make it suitable for every vehicle. I imagine if your driving a small city car such as a Fiat 500 or a Smart car that this may not be the best choice of GPS. It will undoubtedly fill up your area of vision in the windscreen. If you drive a 4×4 however, then this size of a GPS will certainly be perfect for you. As my uncle keeps telling me, big vehicles need a big GPS! There are a lot of features that come inbuilt on this device. 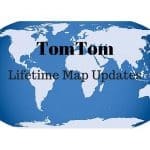 You get Free Lifetime Map updates and Lifetime Traffic Alerts. This is great as it future proofs your device. You will always be able to get hold of the latest map updates before you head off on a long Sunday drive or for your annual driving summer vacation. I love to be able to use the hands free functions of sat navs. 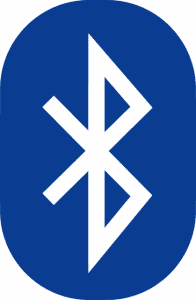 With this in mind I hooked up my android phone to the nuvi 2797 using the Bluetooth function. My current phone is a Huawei and I found the pairing with the GPS to be quick and easy. The two devices found each other fairly seamlessly and I was able to make hands free calls straight away. The volume of the device I found to be crisp and clear (even with 4 kids in the back of the car!) and therefore, unlike some other devices there was no difficulty in having a proper conversation – both sides could hear each other perfectly. This GPS includes Garmin Real Directions which is designed to provide a different user experience whilst navigating your journey. Check out my earlier review of the Garmin nuvi 2597 where I provide my initial thoughts on the “real” directions. The idea behind Garmin Real Directions is that your route is provided by using certain landmarks. The idea is that it will make it easier to get to where you are going. Instead of being told to take the second left in 500 metres, you’ll be told to take the left after the ‘red office building up ahead’. In my initial review I admit that I found the whole thing a little confusing. I found myself looking for landmarks rather than concentrating on the road ahead. I felt like my head was on a swivel trying to locate these particular buildings! This may be because I have been so comfortable using the traditional navigational software over the years. The more I use Garmin’s Real Directions the better I find it. The landmarks provided are normally easy to find and Garmin’s guidance system is slowly but surely growing on me. Also included is the Lane Assist Feature which I have written on previously (check out my review of the Garmin nuvi 55 . This feature provides you with a split screen as you come up to any road junction. The screen becomes split in two as you approach the junction. The left hand side provides you with the road ahead and the right hand side provides the details of the junction itself. The different colors and bright arrows make it easy to get into the right lane. This is particularly useful when you are coming off the highway or when approaching a complicated interchange. In order to keep your GPS up to date with the latest maps, software and points of interest you will need Garmin Express. This is Garmin’s dedicated device management software that you install on your computer. By using this software you can manage your Garmin account, register your devices and toggle between the various maps that are available. 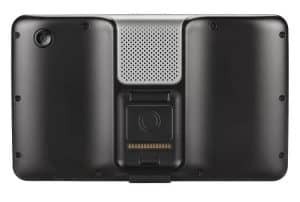 The Garmin nuvi 2797 LMT uses the cradle mounting system that we have seen utilised on other models in the Garmin range. Because of the size of the device it did take me a while to get used to getting the GPS into place correctly. Once it was the sat nav was in place correctly it sat there as it should. It doesn’t appear to be the sturdiest and most secure GPS mount and that’s probably because of the size of the device. After a few days of driving I decided to take the GPS off its mount and am now using a Dashboard Mount as shown below. This has the advantage of lowering the location of the GPS within the cabin. It also lessens the amount of space the sat nav takes up on the windscreen. If you do feel that a larger screened GPS takes up too much space or you feel that it’s not secure in its holder – then I would recommend getting one of these dashboard mounts. Garmin nüvi 2797LM – the device itself! Overall, I’m really rather pleased with what the Garmin nuvi 2797 LMT provides. The large screen is clear, vibrant and easy to read. The device is straightforward to use, provides clear directions, is easy to read and has good clear audio. In fact this would be an ideal GPS device for senior citizens given its simplicity and size. If you are thinking of going out to buy this sat nav then make sure that it isn’t too big for your vehicle! The size of the device may mean that you want to replace the mount with a dashboard bag. With the Garmin nuvi 2797 LMT you are getting a fully loaded GPS that’s easy to use, easy to understand and easy to read! You have various options to configure the driving guidance and the school zone indicator is a feature that is very much welcomed. Some of the other features that come preloaded are pretty useful too – Garmin Real Directions is growing on me and Lane Assist has come to the rescue a few times. The only down side is the lack of a screen where you can pinch and zoom on an area search. That issue aside you are getting an excellent device for your money. 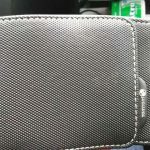 TomTom cases - worth buying? It looks like a good GPS but not for everyone because of the size. It might not suit someone in a little Fiat 500! Looking at the image of it, you get two different views on the screen which may explain the reason it is that size? Or would it also have that type of screen on other smaller screened Garmin sat navs? At least you’re being honest to your customers which I think is very important. Also great to see the pros and cons of the device – really helps with deciding whether or not to buy it.